The Supreme Court dismissed Prime Minister Yousaf Raza Gilani on Tuesday, drastically escalating a confrontation between the government and the judiciary and plunging the political system into turmoil. Chief Justice Iftikhar Muhammad Chaudhry declared that Mr. Gilani’s office had been effectively vacant since April 26 when the court convicted him on contempt charges because he refused to pursue a corruption case against President Asif Ali Zardari, his superior. Although the decision is unlikely to topple the government, many viewed it as the product of a grudge-driven tussle between Mr. Zardari and Justice Chaudhry, with the prime minister caught in the middle. The order left Pakistan in a state of constitutional uncertainty, with the cabinet effectively dismissed. The court instructed Mr. Zardari to “ensure continuation of the democratic process” — words widely interpreted as an order to arrange the election of a new prime minister. Legal experts said Mr. Gilani could not appeal the decision but that he may continue in an interim role until a successor is chosen. It was unclear what impact the decision would have on troubled negotiations with the United States to reopen NATO supply lines through Pakistan into Afghanistan. 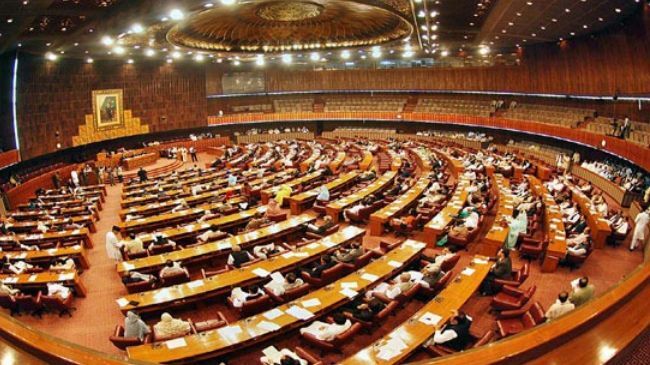 As word of the ruling spread, Pakistanis held their breath for reaction from the ruling Pakistan Peoples Party, whose top leaders held an emergency session at Mr. Zardari’s house. Television stations reported that the party had agreed in principle to accept the court’s ruling, but a final decision was not expected until later Tuesday. Shahbaz Sharif, a senior leader of the opposition Pakistan Muslim League-N Party, which instigated the court action, hailed the decision. “It upholds the supremacy of the law and the Constitution,” Mr. Sharif said. Speculation swirled about the identity of a replacement prime minister; among the names circulating were those of the foreign minister, Hina Rabbani Khar, and various stalwarts from the party’s electoral heartland in Sindh Province and southern Punjab. Any candidate, however, will need the approval of the P.P.P.’s coalition partners — smaller, ethnically centered parties based in Karachi, Lahore and Peshawar, who are likely to seek fresh concessions from Mr. Zardari in exchange for their votes in Parliament. The court decision advanced the likelihood that general elections, scheduled to take place by next spring, could be brought forward. Equally, however, Mr. Zardari may wish to first resolve some of the governance failures that have marred his government’s reputation, notably widespread power outages and system failures that have continued for years. The court decision coincided with street agitation in Punjab, the country’s most populous province, where rioters burned buildings and clashed with police in several cities on Monday and Tuesday to protest power outages. In dismissing Mr. Gilani, the court chose the strongest option. It could have referred Mr. Gilani’s case to the Election Commission of Pakistan, which could have taken up to three months to adjudicate the case. It comes at the end of a tumultuous week for the court itself. Last week, a billionaire businessman made explosive accusations in court and in the media that he had given $3.7 million in kickbacks to Justice Chaudhry’s son in order to swing several cases his way. The furor over those accusations, centered on the judge’s son, Arsalan Iftikhar, is now likely to fade as the country grapples with its latest political crisis. 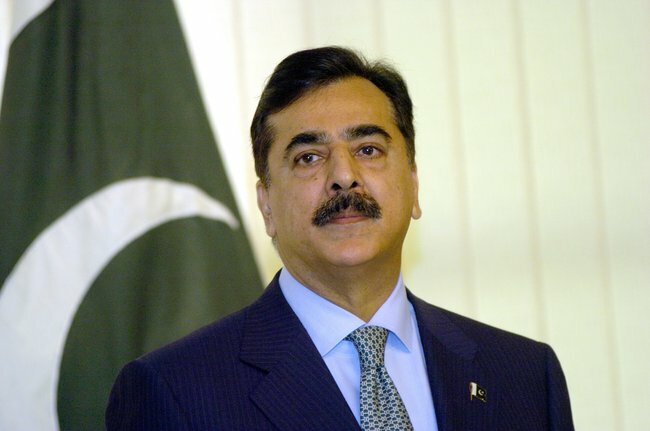 Mr. Gilani’s dismissal stems from longstanding demands by the court that Mr. Gilani write a letter to the authorities in Switzerland to seek to reopen a dormant corruption investigation into Mr. Zardari’s finances that started in the 1990s. Mr. Gilani refused, arguing that he was unable to do so because the president enjoyed immunity from prosecution. And the prime minister signaled long ago that he was ready to be dismissed or face prison in the case. After Mr. Gilani was convicted on contempt charges on April 26, the speaker of Parliament examined calls for his dismissal from public office. The court intervened after the speaker, who is a member of the ruling party, ruled that Mr. Gilani should not be dismissed. The death of a senior Al-Qaeda leader in a US drone strike in Pakistan’s tribal badlands, the first strike in almost two months, signaled that the US-Pakistan intelligence partnership is still in operation despite political tensions. The Jan 10 strike-and its follow-up two days later- were joint operations, a Pakistani security source based in the tribal areas told Reuters. They made use of Pakistani “spotters” on the ground and demonstrated a level of coordination that both sides have sought to downplay since tensions erupted in January 2011 with the killing of two Pakistanis by a CIA contractor in Lahore. “Our working relationship is a bit different from our political relationship,” the source told Reuters, requesting anonymity. “It’s more productive.” US and Pakistani sources told Reuters that the target of the Jan 10 attack was Aslam Awan, a Pakistani national from Abbottabad, the town where Osama bin Laden was killed last May by a US commando team. 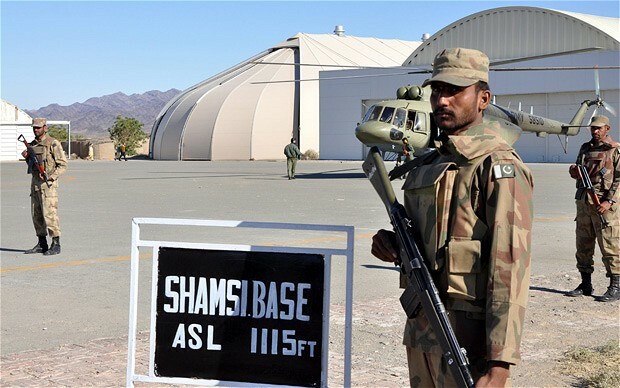 They said he was targeted in a strike by a US-operated drone directed at what news reports said was a compound near the town of Miranshah in the border province of North Waziristan. That strike broke an undeclared eight-week hiatus in attacks by the armed, unmanned drones that patrol the tribal areas and are a key weapon in US President Barack Obama’s counter-terrorism strategy. The sources described Awan, also known by the nom-de-guerre Abdullah Khorasani, as a significant figure in the remaining core leadership of al Qaeda, which US officials say has been sharply reduced by the drone campaign. Most of the drone attacks are conducted as part of a clandestine CIA operation. The Pakistani source, who helped target Awan, could not confirm that he was killed, but the US official said he was. European officials said Awan had spent time in London and had ties to British extremists before returning to Pakistan. The source, who says he runs a network of spotters primarily in North and South Waziristan, described for the first time how US-Pakistani cooperation on strikes works, with his Pakistani agents keeping close tabs on suspected militants and building a pattern of their movements and associations. “We run a network of human intelligence sources,” he said. “Separately, we monitor their cell and satellite phones. “Thirdly, we run joint monitoring operations with our US and UK friends,” he added, noting that cooperation with British intelligence was also extensive. Pakistani and US intelligence officers, using their own sources, hash out a joint “priority of targets lists” in regular face-to-face meetings, he said. “Al-Qaeda is our top priority,” he said. He declined to say where the meetings take place. Once a target is identified and “marked,” his network coordinates with drone operators on the US side. He said the United States bases drones outside Kabul, likely at Bagram airfield about 25 miles (40 km) north of the capital. From spotting to firing a missile “hardly takes about two to three hours”, he said. It was impossible to verify the source’s claims and American experts, who decline to discuss the drone program, say the Pakistanis’ cooperation has been less helpful in the past. US officials have complained that when information on drone strikes was shared with the Pakistanis beforehand, the targets were often tipped off, allowing them to escape. Drone strikes have been a sore point with the public and Pakistani politicians, who describe them as violations of sovereignty that produce unacceptable civilian casualties. The last strike before January had been on Nov 16, 10 days before 24 Pakistani soldiers were killed in what NATO says was an inadvertent cross-border attack on a Pakistani border post. That incident sent US-Pakistan relations into the deepest crisis since Islamabad joined the US-led war on militancy following the Sept 11, 2001 attacks. 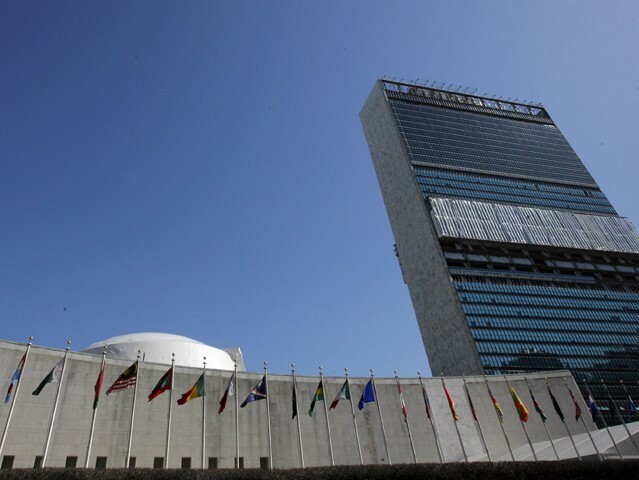 On Thursday, Pakistani foreign minister Hina Rabbani Khar said ties were “on hold” while Pakistan completes a review of the alliance.